Do you feel stuck? Gain the PURE CONFIDENCE to pursue an abundant life by taking your power back. Check out our on-demand Pure Confidence program now! Personal growth isn’t just for January. At the start of the New Year, everyone wants to be happier, richer, and healthier, and everyone has thoughts on how to get there. By February, however, the majority of people have given up and returned to their old ways. If you want to move forward and become the happier, healthier, better version of yourself that you know you can be, you have to prioritize personal growth all year long. What do you really want? Do you want a better job? Do you want to be healthier or to make more money? Do you want to start your own business?Too many people are afraid to think about what they want because they are afraid they can’t have it, so they accept mediocrity instead. Don’t be one of them. Get crystal clear on what you want and why you want it. All growth starts there. 2. Replace waste with purpose. 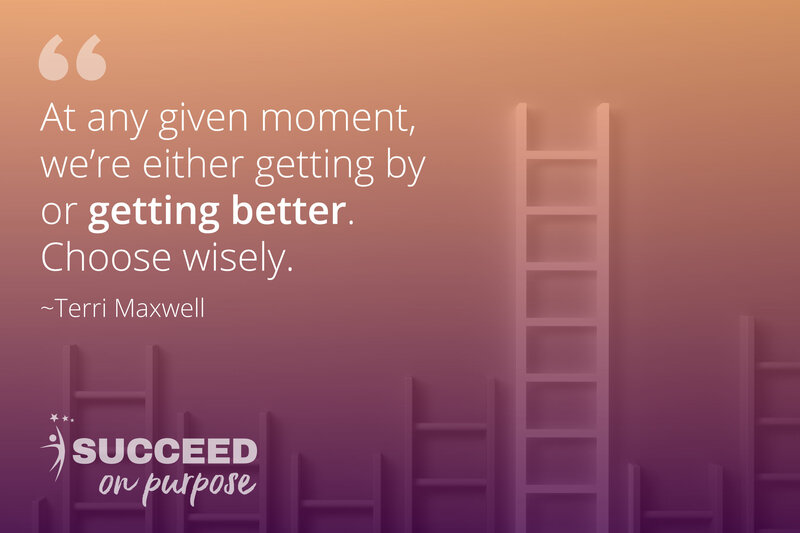 Most people spend too much of their day on activities and tasks that don’t propel them forward instead of on tasks that purposefully drive them toward their goals. Time chunking enables you to place a specific value on your time and energy to help you naturally eliminate that waste and focus on what matters.But what is time chunking? Think of the salary you want to earn a year from now, and then divide that amount into the number of hours you want to work for the year. (For example: A $200,000 annual salary divided by 2080 hours, which is a typical 40-hour week, is about $100 per hour or $50 per half-hour.) 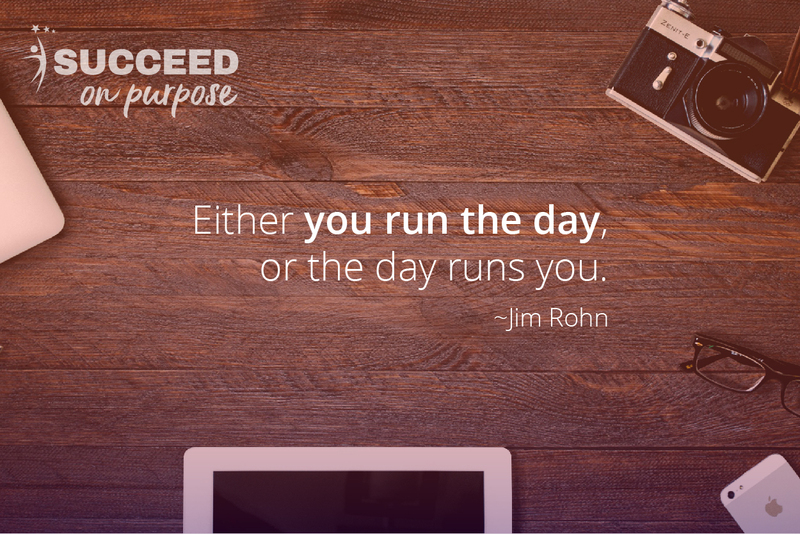 Then get out your calendar, and start organizing your day into 30-minute chunks. Think of each chunk as a $50 or $100 bill (or whatever you need to meet your salary goal). This will keep you focused and drive productivity. Dedicate specific times for responding to emails, making phone calls, and attending meetings. Alternate every two hours from right-brain to left-brain activities to keep your brain active and engaged. As you go through your day, consider whether each 30-minute interval was actually worth $50 or $100. If not, try again the next day to be more intentional about where you spend your time. 3. Schedule time to focus on “you” and your growth in a positive way. Do this daily, weekly, and annually. For example, you could schedule a 30-minute appreciation break each ay and use that time to appreciate a person in your life. our gratitude and appreciation for that person. Then send them an email or text that lets them feel your appreciation. The boost in your mood will help propel you through the day, and you’ll reinforce the relationship in a genuine way. Once a year, schedule a longer, retrospective meeting with yourself that focuses on three things: 1) What did you gain that year — a tool, a piece of knowledge, or a position or client — that you want to keep and take into the new year? 2) What do you want to receive in the new year? 3) What do you want to do differently in the coming year? This establishes your goals for the new year AND helps you set your focus. 4. Open up to receive what you want. Intentionally set your focus for the year based on what you want, and then open yourself up to receive the inspiration and tools that will help you achieve that goal. Don’t waste time looking for “the right” class or workshop to attend. Once you open yourself up to receive what you want, you’ll receive those blessings in a more divine way.The things you need — the classes, the workshops, the opportunities, the people — will find you. If you go looking for them, instead of allowing them to come to you based on your intention, you’ll just over-schedule yourself. Busy won’t help you grow. Growth is about doing better and being MORE, not doing more. Set your focus, open up, and then schedule the activities that come to you and support your focus. Too many people want permission or buy-in for their dreams. That’s unimportant. Don’t push off growth because you can’t find someone to pay for your training or you don’t feel you can ask for the flexibility you need to start a side gig. Do it anyway. Figure out what you want. Set your focus on getting it. Don’t wait for someone else to tell you you’re ready or it’s time. No excuses. Do it now, because you want to do it. That’s how you’ll truly grow in 2018 and beyond. Ready to unleash your potential in 2018? Uncover the barriers standing in your way with our powerful, free “Fear of” quiz. Then get moving forward on your quest for MORE.